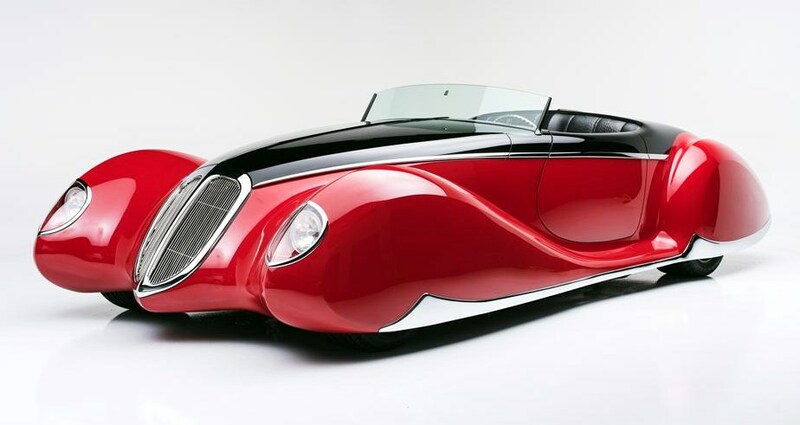 The last custom car created by the late Boyd Coddington is a glorious homage to the French coachbuilders of the mid-20th Century. 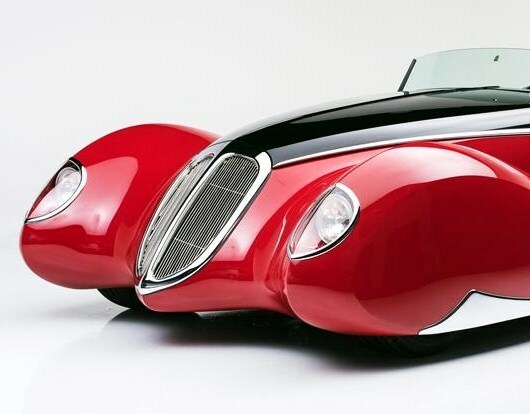 The last custom car created by the late Boyd Coddington is a glorious homage to the French coachbuilders of the mid-20th Century. 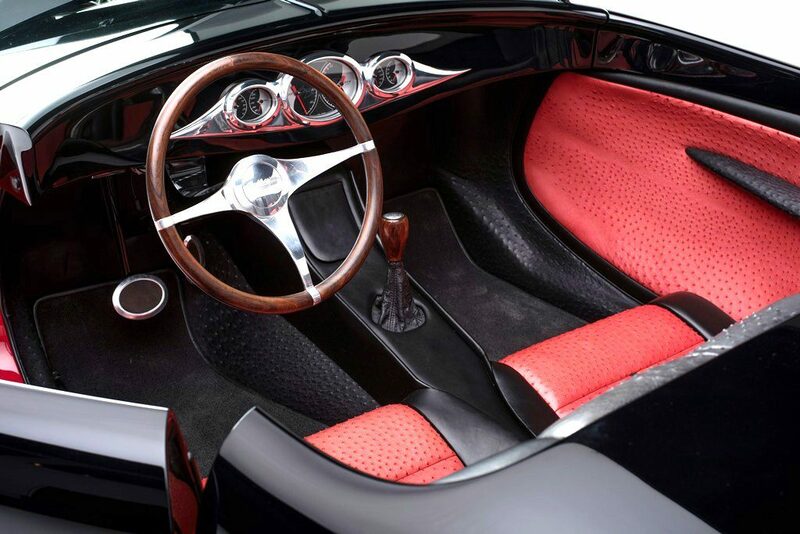 Named The French Connection, the hand-built masterpiece emulates the luscious curves and details of such creative designers as Figoni et Falaschi, Chapron and Saoutchik. 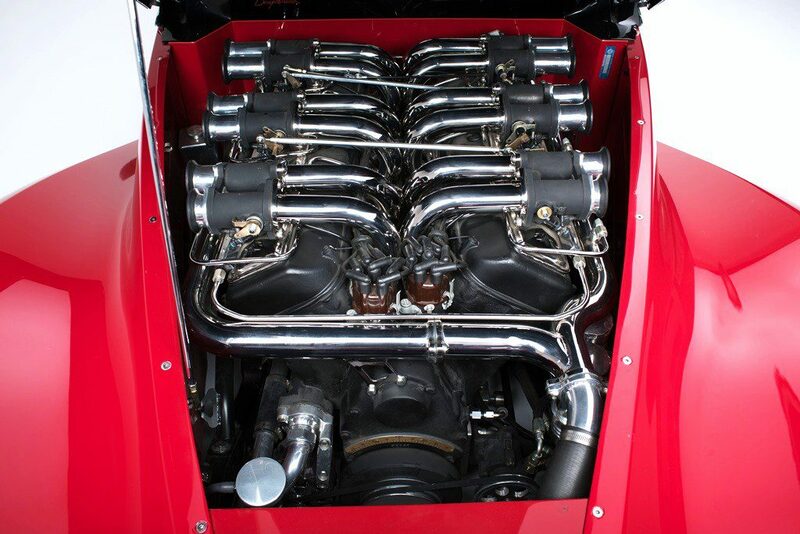 Just as magical as the fantasy body is what resides under its curvaceous hood: an Italian-made BPM V12 Hemi engine that displaces a massive 12.8 liters, or 781 cubic inches. Horsepower is estimated at 850 and torque at 1,000 pound-feet, so The French Connection is as much about its ability to roar as it is to dazzle. 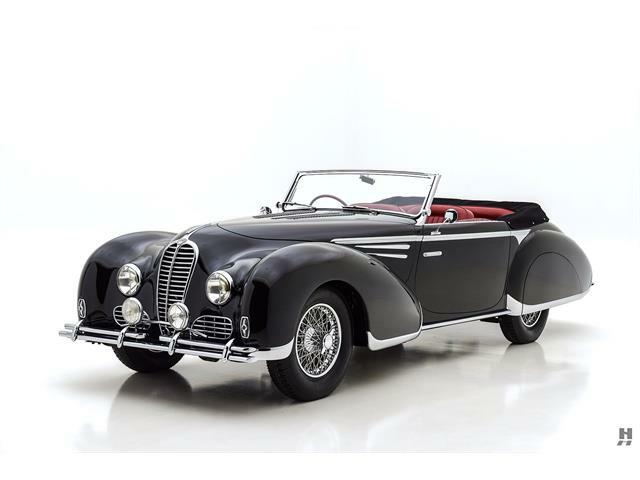 Coddington’s final triumph goes across the block in January when the 45th annual Barrett-Jackson Collector Car Auction offers The French Connection among its top vehicles during the January 24-31 classic vehicle extravaganza at WestWorld in Scottsdale, Arizona. The Boyd custom will be among Barrett-Jackson’s Salon Collection of top-value cars. “The car was literally built around that extraordinary V12 Hemi, and the mechanics of the car are as remarkable as the rest,” Barrett-Jackson says in its catalog description. 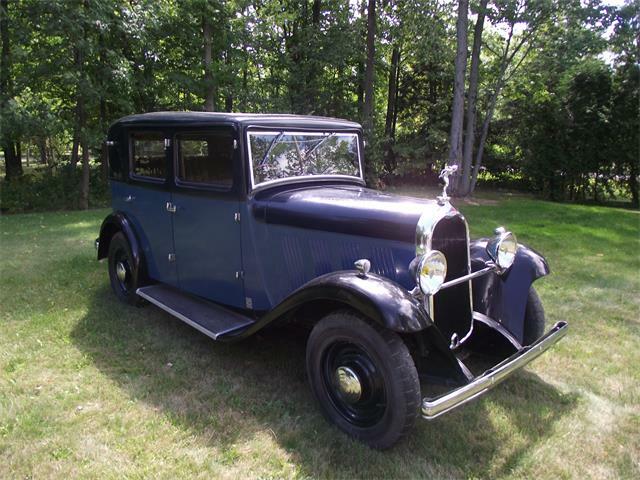 The French Connection’s full-fendered aluminum and steel body was the last to come out of Coddington’s shop, and was hand-formed over thousands of hours by noted expert Marcel Delay and his sons. The exceptionally smooth lines of the car are accentuated by its lack of external handles for doors or trunk lid. 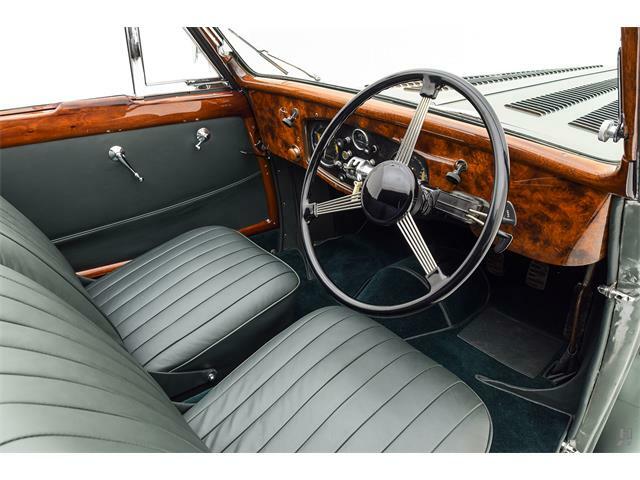 The interior and matching fitted luggage are ostrich leather. 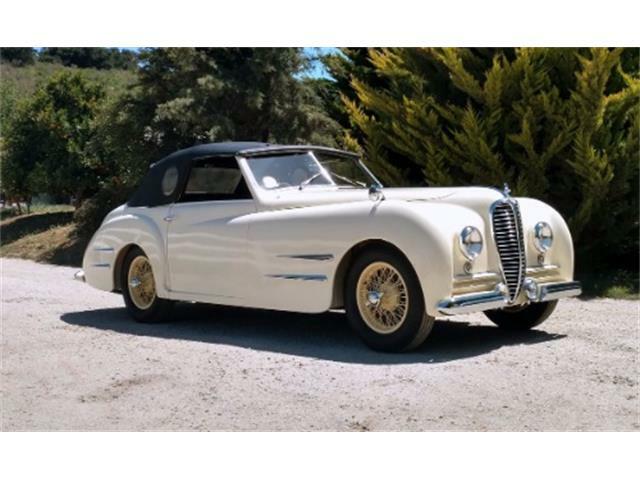 The French Connection was built for a longtime Coddington customer and family friend, hot rodder Rocky Walker, according to a writeup by the builder’s son, Boyd Coddington Jr. 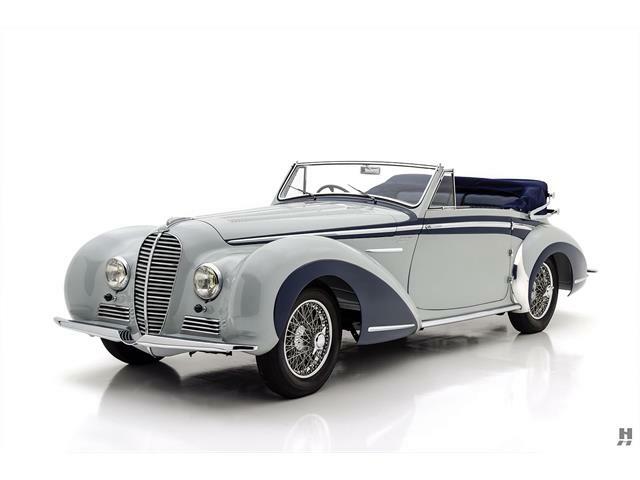 The car was the result of his father’s fascination with the French coachbuilders, he wrote, and came after another landmark car built by his father that recaptures that era, named WhattheHaye, which is a play on the name Delahaye, the French automaker whose spectacular cars were frequently garbed by the great coachbuilders. As with all his creations, Coddington worked to ensure that The French Connection was as close to perfection on wheels as humanly possible. For more information about Barrett-Jackson’s 45th annual Scottsdale sale, visit the auction website.